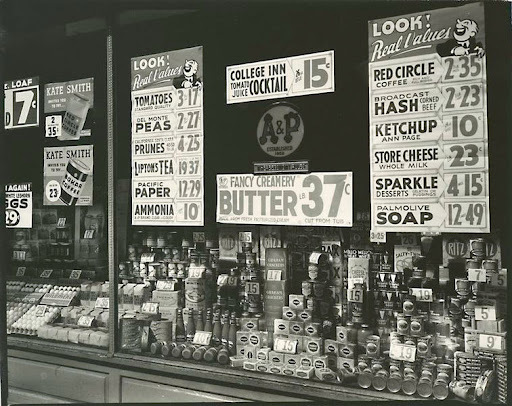 This is the cake that the old A & P Grocery Stores used to sell. Add water to raisins and boil for 10 minutes. Add shortening and allow to cool. Sift together sugar, baking soda, flour, spices and salt and add nuts. 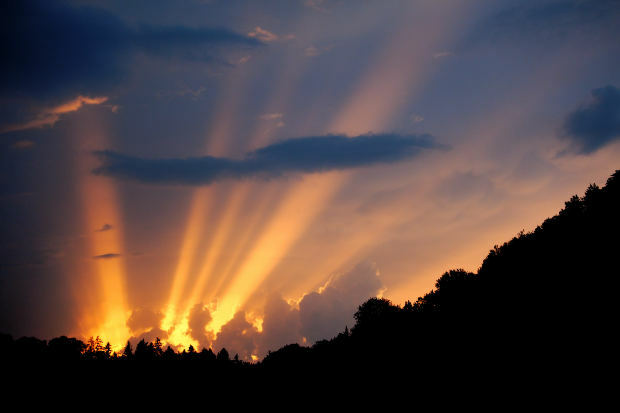 Next Friday a new post from old order Mennonite Martha! There is much talk today about the importance of “traditional family values.” In modern society we look to institutions outside the home for education, religion, entertainment, etc. 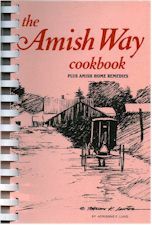 This series examines to what extent the Amish have been able to keep these functions in the home. 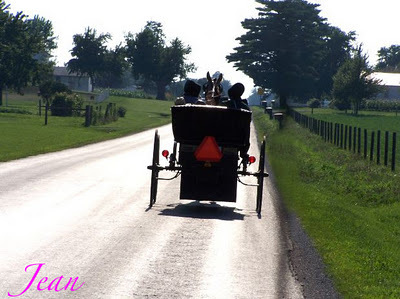 Part one of a Seven part series for Amish Stories. It has been said that the family in America’s early years was “the factory of the time.” The family was more self-sufficient, and one’s “co-workers” were family members. A self-sufficient family or community need not go outside itself. It can remain isolated and guard itself against factors leading to disunity and disruption. Yet such isolation is virtually impossible in today’s world, as even the Amish are fully aware. The Amish live among non-Amish in modern rural America. While they are more isolated in some areas, other communities interact daily with the modern world, perhaps nowhere as dramatically as in Lancaster. Here the Amish come into contact not only with their “English” neighbors, but directly and indirectly with millions of visitors from the United States and around the world. 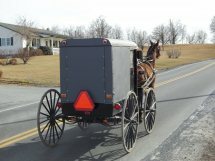 To the Amish, the idea of separation from the modern world and non-conformity to its ways are stated clearly in the New Testament—“Be not conformed to this world, but be ye transformed.” The Amish have adopted some facets of modern technology and shunned others. The fact that the Amish population is growing, and that the majority of their young people decide to join the faith through adult baptism, testifies that there are important values in this culture. This economic function, the family and its members working as a unit within the supporting Amish community, creates a strong bond and gives each worker a clear and vital ” place” through the work he performs. Indeed, Amish formal schooling stops at the eighth grade. From then on children are at home or on the farm, learning the tasks they will have as adults by working with their parents. The family and home become the place of “on the job” training. 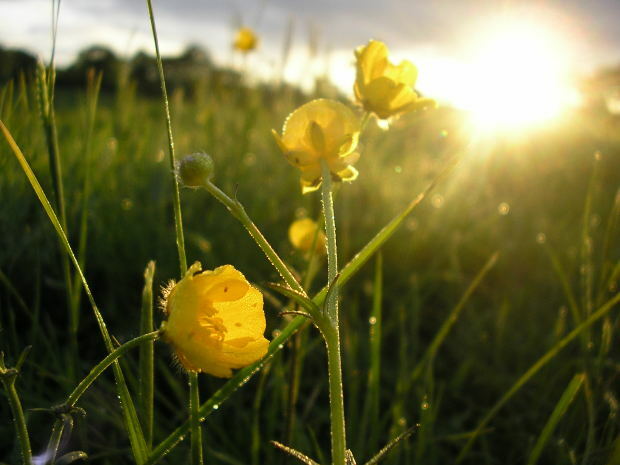 On a farm, your work directly affects you and your family. You are a member of this company (the family), and you have your job responsibilities. In simple terms, the cows have to be fed and milked so that food and shelter can be provided for the family. Your paycheck comes daily in the form of food, clothing, shelter, and affection. At times, individual families become caught up in other “family economies”, as when three farmers get together to help each other fill their respective silos. In such ways, the family and community bonds are further strengthened. By the 1970’s, making a living from farming was becoming more difficult. The increasing Amish population, coupled with decreasing farmland and higher prices, made getting started difficult or impossible for some. 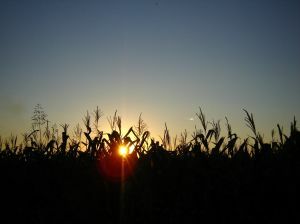 Others found the payments on the farm, building, loans, mortgages, and interest a hardship. One alternative was to move to another area where farmland was available and cheaper. Others looked at ways to supplement their income by having a family member work out for others, sometimes on a carpentry crew, as a farmhand, or as a cleaning lady in homes of non-Amish. But of most concern to the Amish was the possible necessity of having to work in a factory, and whether or not such work really was necessary. As the Old Order Mennonite do not discuss this out in the open like us Englishes do-Jean asked me to explain why she was in the hospital so I will try to do this as tactful as I can. 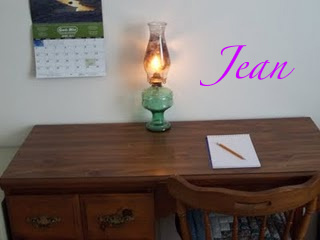 Jean was with child (pregnant) and was a few months a long when she had a miscarriage. The Old Order Mennonites have funeral for what comes from the miscarriage-they believe this is a child no matter how small-even if a child has not formed yet. After her previous pregnancies with Susan and Baby David, Jean had some female problems. When she had the miscarriage these problems were worse and the doctors suggested she have a hysterectomy, but she wanted to put off until after Easter. After Easter she still didn’t want to do it. Finally the night that she went to the hospital happened and she had the operation. She went to bleed and started bleeding. David thought she was bleeding to death and called the ambulance. He said later, it wasn’t as bad as he thought it was, but when he saw it-he sure thought it was. Marilyn. I went to bed that night with no problems-just like I did every night. During the night I got several back pain and stomach pain. I was starting to get out of bed and pulled the sheets back when David saw the situation. He told me to stay in bed and called the ambulance. As my parents were in Pennsylvania at the time visiting relatives-he called his parents. I started to feel faint and remember all parts of going to the hospital and David the rest. The ambulance came and David’s parents came. After the ambulance medics looking me over they decided I was going to the hospital and David’s Mother rode with me. We still have Susan, David Jr in bed and Michael was up. We felt that some other guardian should be there with them at that time. I later found that David called Martha and she came over to watch the children so David could go to the hospital. In the ambulance I knew what they would do to me at the hospital. I cried and told my mother-in-law that I wouldn’t be able to have anymore children. She said David and I could adopt. Not only that she had only one child and that was my husband David. I said something about if we adopted we could never get another child like Michael. I remember David’s mother laughing and said whether you have natural children or adopt-no two children are exactly alike. That’s the last I remember until the next day. David told me that I had an operation and what it was. I don’t remember but he said I cried. I remember Marilyn coming to take David and Michael home later in the day and I told her that I wanted to go to a rummage sale we had talked about. She said we had two weeks before the sale. When I came around the second day I was in a semi-private room, but no one was with me. David was there after his chores. Michael and Susan were at school and Martha was taking care of David Jr. My in-laws came for a while and then went to our house so Martha could come to visit me. Martha and Joseph came to visit. I wanted her to put my hair up so I could put my kap on. She did, but it wasn’t very comfortable to lay on all day-so she took it down and put my kap on me. When the nurses came in to walk me around the room-the nurse took one side and David the other. Once walking they let me go and stood right by me put I could walk alone. When it was time to return to bed, Martha asked everyone to step outside and changed me from hospital gowns to one of mine from home. She had also brought slippers and a gown. The hospital was very nice during out stay. The doctors and nurses were very kind. I got food at the hospital plus people brought things in. At the house Martha took over and saw that David, David Jr., Susan and Michael ate well. When my parents returned from Pennsylvania, after seeing me, my Mother took over at the house. The only thing that upset me was my Father wanted to know how we were going too pay the hospital bill after the fire we had at our house. He wanted the hospital to release me early to reduce the bill, but David said no. When it came time to go home, David took me to his parents home. My grandparents (my Dad’s parents) rent the other house there. My mother-in-law and grandmother cooked my favorite foods, took care of me and I felt I was being treated like a queen. When my grandmother heard my Father getting upset about the bills-she put a stop to him. Even though my Father is in his 50’s, she is still his Mother and what she says ends arguments. David and I have money set aside for hospital bills. The deacon from our church was at the hospital and said if there was any problem with the bills to let him know. The deacons did give us some money when we had the kitchen repaired. We did not ask for it-but they gave it-you do not turn them done. 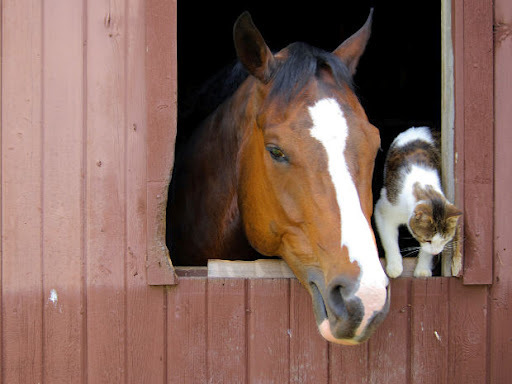 We also have a Mennonite Insurance that is among the Mennonites that you pay a large deductible and they pay the rest. We pay so much into it every year. The deductible was paid so they will take the rest. As far as the ambulance it was our local ambulance and David works for the Fire Department and ambulance. The ambulance and fire department is volunteer. As David volunteers there the bill will be lower than a normal ambulance bill. This Tuesday i lost something that was very precious to me, Tammy would have been with me 12 years this June and i never knew her true age which was estimated when i adopted her at that time to be around 2 years old. At that time before adopting her i really had wanted a dog but living in an apartment which didn’t allow any pets helped me go in a different direction, and am i ever grateful that i did because i loved her like she was my child. Let me go back to the year 2000 when i was thinking about adopting, and i hate calling them pets so for this post I’m calling them little family members. My mom had this cat who used to stop by her home and somehow get in the back yard, and she would feed him and in time would name him Jessie. 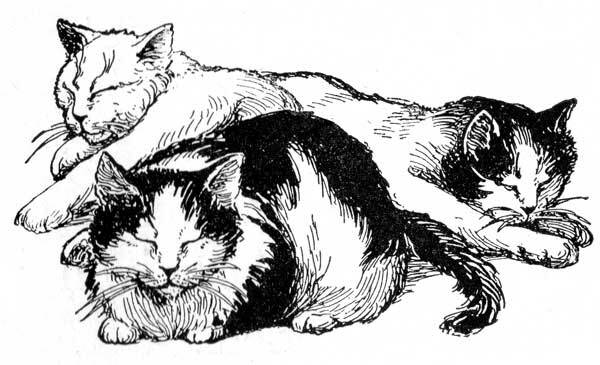 Since my folks already had 3 cats at the time she asked me “why not take in Jessie”, as my mom was a huge lover of cats and dogs and would have take-in Jesse except she had a pretty full home already. But i knew that my mom was getting really attached to him and really wanted me to take him so he could be part of our family, so i decided to bring him in to the veterinarians office for a check-up and to get all of his shots. After bring in Jessie for his check-up i was told that he had Feline Immunodeficiency Virus which is very similar to the aids virus in people, i was floored when i first heard this as the doctor explained what it was and how it would effect his health. So i asked him how long could he live and was told that Jessie could live for years, or he could die from a severe cold that his compromised immune system may not be able to handle, i was floored and sick to my stomach. He could never come in contact with any other healthy cat because they would get FIV as well, and this decease is spread through saliva so its very different than aids in that respect. So i had to stand there in the doctors office and think about what i wanted to do, so i told him that “ill set him free”. And the doctor said if you do that more cats will get infected, So here i am a grown man crying in the vets office trying to figure out what to do. And since i knew if i adopted Jessie i could lose him because of this, i made the very tough decision to put him to sleep. Well i knew that my mom would fall in love with both of them and after accepting taking both of them i took his mom (Tammy) and my folks taking her son (Chance). I’ve made many mistakes in my life and so many wrong decision’s, but in spite of myself one of the best choices that I’ve made in my entire life was to take her home with me. She understood me and i knew and understood her personality so very well, and when she became sick i knew something was very wrong. 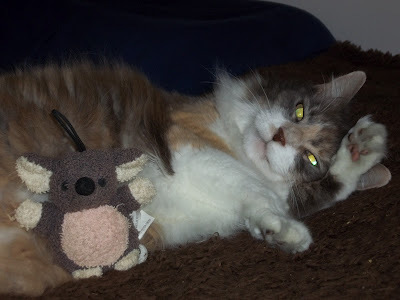 Tammy suffered from asthma and was first diagnosed with this disease in 2010, and since cats are able to hide their illnesses’ very well she may have had it even earlier. This January i noticed Tammy was having a little more trouble breathing than she normally would have and brought her in to her vets office, and i was told that she had what most likely was a chest infection. And in this time Tammy was seen and was on antibiotics for the most part of 4 months and me driving to another vet in Lancaster for another opinion, and then i finally placed her in a animal hospital located in Allentown with specialists. 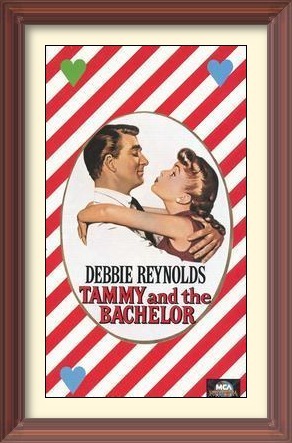 Tammy was named by my mother from the movie Tammy and the Bachelor staring Debbie Reynolds that was made in 1957. When my mom had her very first look at her she said “she’s a Tammy“, and so her name was born from one of my mothers favorite movies and songs. Tammy was in Allentown and was placed on oxygen (Saturday) and was at least breathing better which is what i had wanted, i also wanted answers and hoped her life would be saved. After Tammy receiving many drugs those few days x-rays were taken and i went over them with her doctor on Monday, since her oxygen level was too low they were not able to do a tracheal wash and send a scope down in her lungs to really see what and how much damage was done. But her last x-ray taken on that day (Mon) did show some improvement in her lungs, and the doctor brought her in the room and i had her in my arms and she never wanted me to let her go. 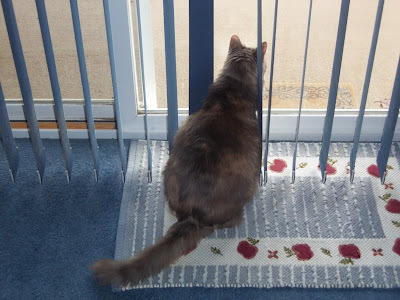 Since she seemed to be improving the doctor wanted 1 more day to monitor her and make sure that she was stable, and that i was all set to pick her up on Tuesday morning. The doctor did say that she felt Tammy’s lungs were damaged and that in the very near future this would be ending her life in some way, so my goal was to get her home and spend quality time and to try and help her live as long as possible. Tuesday morning at 7:30 i recieved a call from the hospital that Tammy had trouble breathing and became very agitated and was sedated and placed on 100% oxygen, x-rays were also taken and i was told on the phone that her condition (x-rays) showed that over the night to have become worse from the ones i had looked at on Monday. 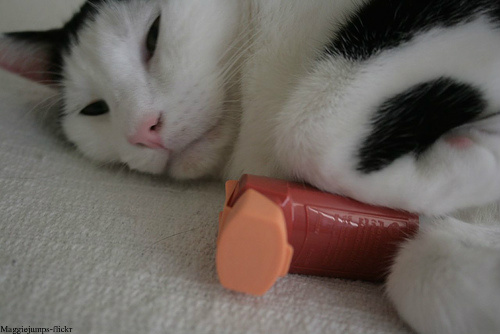 www.fritzthebrave.com : A web site to learn about feline asthma and treatments. Brown 2 or 3 Tbs. butter in saucepan. Add 1 cup cooked beans and 1/4 cup water. Bring to a boil, then add about 3 quarts milk, salt and pepper to taste. Add a dash of allspice. Boil, then remove from stove. Add about 2 quarts stale, thinly sliced bread, or enough to thicken. Cover and let stand about 1/2 hour before serving. Serve with pickled red beets or pickles. New post on Monday of Lebanon county’s Amish settlement with a whoopie pie recipe. Jeans post : Michaels visit in a very short time has made a positive impression with Jeans family, but its now time to leave Jeans world for his own. Today was kind of a sad for us as our Foster Child, Michael, went on to another home today. We knew when we received him he was only here until he finished the school year and then he was going to another home, but still it hurt to see him go. In a week and a half we didn’t realize we would get so close to each other. Once his parents go to trial and are sentenced he may get to come back to us if they are sent to jail. Knowing what they did, I do believe they will be going to jail for a long time. Michael was our First Foster Child and he was the best. He got very good marks in school, worked hard with us, did what he was told, and had fun with us. He also had one of the things you don’t see in children today “manners”. We know he came from poor parents as he had very few clothes when he got here. In my previous post about him, I told how we bought him some new clothes and shoes. Also I got some patterns he liked and made him some new clothes. So when he left here he had some new clothes to wear for a while. On Thursday his school had Michael moving up from the middle school to the high school. David and I surprised Michael by showing up in his parents place. He didn’t think we would come. I guess we disappointed him a little bit because we had a driver instead of coming by horse and buggy. He wanted to show off our horse and buggy. When we got done at school , his friends and some of their parents came back to our house. The yard was set up for volley ball and baseball. We had picnic tables and chairs. Some of the ladies helped me in the kitchen to put silver ware and dishes on the table and bring out the food. I don’t remember everything we had but some of the foods were: potato salad, Cole slaw, macaroni salad, pickles, chow chow, roast beef, ham, chicken, homemade bread, and lots more. For desert we had cookies, pies, and cake. Beverages were lemonade, iced tea and coffee or hot tea. After the first round of eating Michael and his friends starting playing baseball. We adults sat, chatted and watched them play. The young folks did get out of hand a couple of times where David got up and spoke with them. Young folks didn’t do anything bad, just got loud and a couple had an argument which David ended. David hooked one of our horses to the buggy and gave some of the young folks and adults a ride in it at different times. 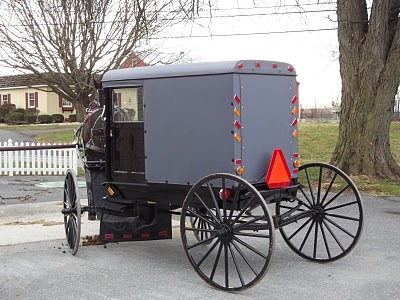 Most of the people were local and had seen an Old Order Mennonite buggy go down the road, but never had ridden in one. A few hours later we brought the food out again and had a another round of eating. We thought people would leave by dinner time, but most didn’t so we called the pizza folks and had them deliver as we were almost out of food. After the dinner some adults helped us cleanup and everyone left. Michael had never been fishing so we had promised to take him fishing and a picnic. The days were moving so fast and I had to do the bake sale on Saturday so we had agreed that David would taken him, but Michael wanted all of us to go. The mothers (David’s and mine) came through and said they would go to the bake sale for me if I would help do the baking on Friday. So Saturday, David, Baby David, Susan, Michael and myself went fishing and we brought along a picnic lunch. I asked Michael what he would like to eat and he said fried chicken, French fries, and chocolate cake. He got everything he wanted plus potato salad, pickles, chow chow and a few more things I can’t remember. Also, I brought a couple of blankets while David brought the fishing supplies. Somehow we got it all in the buggy and off we went. Susan and I spread the blankets and went fishing with the men. Good thing David had also packed a few tarps as he covered the blankets and us when it started to sprinkle a couple of times. It didn’t sprinkle when we had our lunch. As we were almost packed up to leave it started to rain so Susan, Baby David and I were sent to the buggy while Michael and David loaded everything else in. For supper that evening we had the fish that we caught that day. After service on Sunday, we had steaks, tossed salad, mashed potatoes, friend onion rings, corn on the cob, and finished off the chocolate cake. David cooked the steaks on the grill outside. This was what Michael had wanted for dinner. Monday morning he wanted blueberry pancakes with sausage. I made them up along with oatmeal, juice and strawberries from our garden. Michael asked if I always cooked what everyone wanted. I told him not always, but he was special to us. As Michael had gone to service with us every Sunday through out his stay we learned that he knew the Lord. We had talked about the Lord especially in his life several times. The Bible he had was falling apart. While we were waiting for Social Services to come and take him to his new home, we gave him the new Bible we had purchased for him. Also we prayed for him. When the car came we all hugged him and had tears in our eyes. It sure was hard to see him go. On the way back, after taking him to his new home, the lady from Social Services stopped and asked David and I if we would consider adopting Michael, if it came to that. We said we like him to live with us for longer to make sure we would all get along and agree on adoption. We would all including Susan and Michael would have to agree to it, also. Social Services said he would be with us for at least six months to a year before the final decision would have to be made. All was not perfect when he was here. There were times we had to speak to him about the words he spoke or actions that we don’t allow. He did get upset when we asked where he was going when he was leaving the house to go with friends. Never had anyone had a snack waiting for him when he got home from school. He was in shock. The first time he thought he was in trouble. Michael wanted to know why we dressed like we did, lived like we did and drove a horse and buggy instead of a car. We explained all this to him. Michael had never owned a computer. When he needed one he used one at school or at the local library so the fact we don’t have one didn’t bother him. What really bothered him was that there was no television. After he was here a few days we told him we had a TV in our attic. We are not supposed to have a TV, but we bought one when 911 happened. For a while we had it in our bedroom to use for the news, but we found Susan in there watching it so we moved it to the attic and didn’t use it. After Susan went to bed we would like Michael go to the attic and watch it for a hour or two. Of course, we wanted to know what he was watching and if we did not approve we would not allow him to watch it. Michael had never done farm work before. He enjoyed it while he was here, but would he enjoy it if he had to do it every day? These are all things we all would have to consider before adoption. It is a decision that would take longer than a week and a half to find out. He seems like someone we would love to have join out family, but we want to make sure he would be happy also. The main point is if he became a member of our family would he become one us and join Old Order Mennonite. The sound of adopting him would be great, but these are all things that would have to be worked out. As I said, Michael was our first foster child. We had no real problems with him so he was very well to have and we enjoyed having him. We realize the hardest part is when they walk out the door and you know they are not coming back. As we know where he is, we can go visit him after he has been there two weeks and we plan on going to visit him. We were told by social services that not all children are like Michael and we realize that. A house that David and I had always wanted is up for sale. We went looking at it today. David had done some work in it one winter for the owner so he knew what it looked like on the inside, but I didn’t. I can remember when we were courting, riding by that house saying some day we wanted to own that house. In addition to the house is a barn and a guest house. We are thinking of buying it instead of building a new house. This house sets back from the road and is fenced in on three sides. There are a few things we have to consider. One is the price. Another is there are only 63 acres where we would have about 300 if we built a new house on our current land. Also we would be moving about 5 miles away from our family and friends that are local right here. The house has a crawl attic where we would like a bigger one. There is cellar under only part of the house. We think the cellar was under the main house that was built and there is no cellar on the additions. House was built in 1890 and the road is named after the family that built this house. I would have bought the house on the spot once I saw it-but David is more reasonable than I am and thinks about the good and bad. 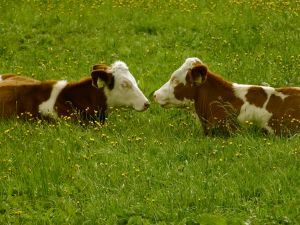 We have to make sure that we would raise enough on the 63 acres plus our cows to support us and the farm.